Editor’s Note: In the interest of introducing our clients to our staff, we run an occasional series that puts our team members in the spotlight. 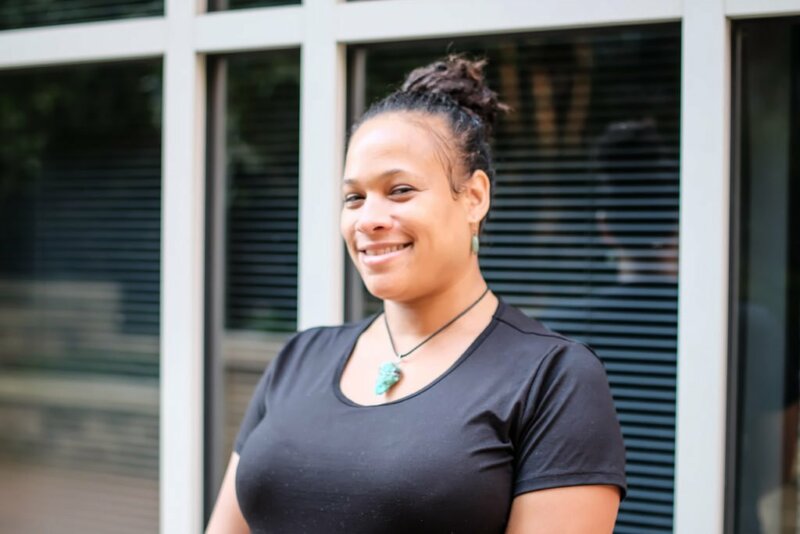 Below is a Staff Spotlight Q&A with new Massage Therapist Ayanna Crosse. I was born in Washington D.C. and grew up in Southern Maryland. In high school I took Taekwondo and was at the height of my flexibility! After high school I attended UMBC, the University of Maryland, and Baltimore County. After years of working in loss prevention and retail management, I decided to go to school for massage therapy in search of a more fulfilling career. I attended the National Massage Therapy Institute in Virginia. I am with my loving and supporting partner of whom I met in high school. I held a massage contract in Arlington for several years and fell in love with the area for its friendly folks, fantastic eating spots, and its views of the water. 6. What aspect of your job do you find most challenging or rewarding? I find it extremely rewarding in my job when I am able to access the source of pain or tension and alleviate it. 7. Which clients do you find most interesting? I enjoy working with children and helping them learn their bodies and increase their body awareness. I feel like I am helping them get the base knowledge for a lifetime of wellness. 8. If you were in another profession, what would it be? If I was in another profession I know it would be helping others in some way. Probably incorporating essential oil education since that is what I love to do, mixing and blending essential oils!